Carnitine is an antioxidant used by your body to turn the fat you eat into energy. Typically, the body makes plenty of carnitine, so supplements aren't necessary. However, some people take supplements in the hopes of increasing weight loss, but research doesn't appear to support this practice. Before taking L-carnitine supplements, check with your doctor, as this may not be safe for everyone. Theoretically, an increase in carnitine in the muscles will increase the amount of fat burned, but supplemental L-carnitine doesn't typically increase the amount of carnitine in muscle, according to a review article published in Obesity Reviews in October 2011. For example, an animal study published in Annals of Nutrition and Metabolism in 2004 found that L-carnitine supplementation didn't increase fat loss, while endurance training did accomplish this goal. You may be better off increasing your cardio instead of taking L-carnitine supplements for fat loss. L-carnitine is thought to help increase muscle while decreasing fat in the body and to help people feel less fatigued, all of which can potentially improve weight-loss results. The theory that L-carnitine helps increase muscle mass and decrease body fat doesn't seem to be backed up by research, however. 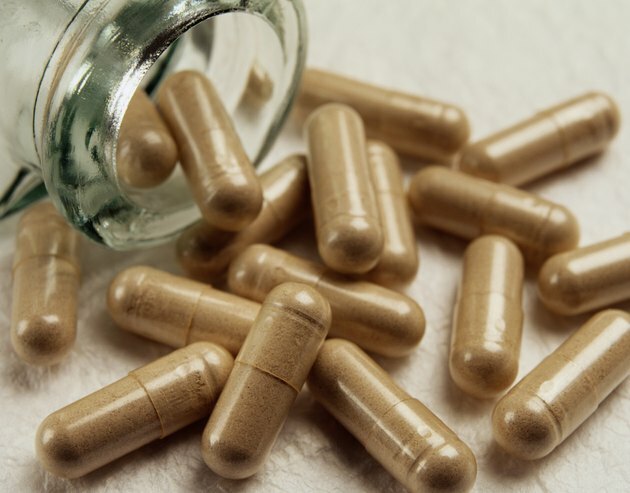 For example, an animal study published in Annals of Nutrition and Metabolism in 2002 found that supplemental L-carnitine didn't help improve body composition or weight loss in conjunction with a reduced-calorie diet. A better way to increase weight loss and improve your body composition is to follow a reduced-calorie diet along with engaging in both cardio and strength-training exercises. The exercise helps build muscle and maintain your current muscle mass while burning more calories to help you lose weight. A study published in The Journal of Physiology in February 2011 reported on a set of circumstances in which the muscle carnitine was increased in people. It requires high carbohydrate consumption along with twice-daily L-carnitine supplementation for at least six months, because shorter time periods didn't show any increases in muscle carnitine levels. This increased muscle carnitine made it possible for participants to exercise longer without feeling as if they were working as hard. The potential to increase exercise length and intensity may make it easier to lose weight, but some people find it harder to lose weight when consuming large amounts of carbohydrates, so it's not clear whether this set of circumstances will actually be helpful for weight-loss purposes. Further research is necessary to verify these effects and whether they can lead to increased weight loss. In some people, carnitine can cause fishy body odor, abdominal cramps, nausea, vomiting, muscle weakness, rash, increases in appetite, diarrhea or body odor, especially with the high doses found in supplements. It may not be safe to take this supplement if you have liver or kidney disease, high blood pressure, seizure disorder or diabetes. Carnitine may interact with certain medications, including blood thinners and thyroid hormones, so check with your doctor to make sure carnitine supplementation is safe for you and, if so, to find out the correct dosage. Carnitine is found naturally in a number of foods, so you don't necessarily have to purchase supplements to increase your intake. Include foods such as low-fat dairy products, lean red meat, skinless chicken, fish, peanut butter, avocados, asparagus and whole wheat in your diet. All of these foods can have a place in a balanced, reduced-calorie diet for weight loss, which should include a mix of fruits, vegetables, lean protein, healthy fats and whole grains. Cutting 500 to 1,000 calories each day from your typical caloric intake will allow you to lose weight at the rate of 1 to 2 pounds per week.